Description and Definition of the Lance: The Lance is a primitive instrument of war and hunting consisting of a long handle, or shaft measuring from 9 to 14 feet in length, with a sharp spearhead or projectile point. 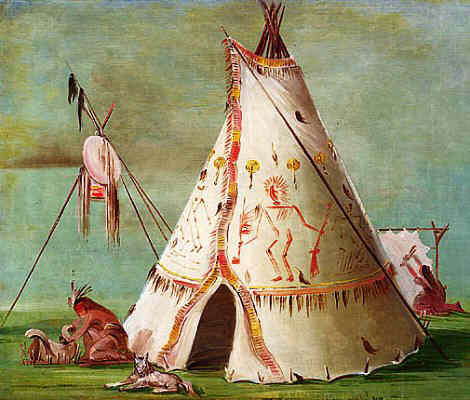 Native American Indians would use to the Lance on horseback or for ceremonial purposes. The points of the lance were originally made of a hard stone, such as flint, but were replaced by metal points. The points, or blades, of the lance were made similar to spears, only larger in size and somewhat different in shape. The spear was the weapon that eventually developed into the lance. The pictures on this page illustrating the Native American lance provides and indication of the length of this weapon.